For golfers looking for a low-profile grip on their clubs at a great price, the new Lamkin X10 is the perfect choice. 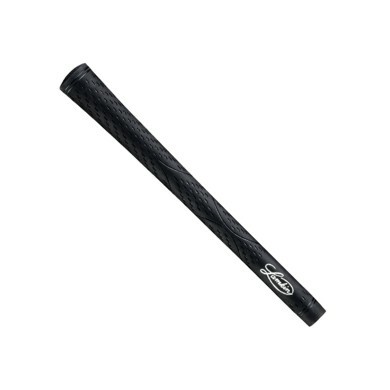 The X10 is made of a durable proprietary synthetic rubber material designed to last round after round. All black, with only its logo painted, the X10 features hand positioning guides and a well spaced surface pattern for great traction and shot control.